We could live our lives going by God is love and this is so true, but to think God never gets angry makes no sense since He too has emotions like us. In the person of Christ God became flesh and walked among us, and was tempted as we are yet without sin. The greatest expression of anger we see of God was when those who were brought our of Egypt which God made His covenant with, but the people had forsaken it and chose to serve and worship other gods(Deuteronomy 29:16-18,24-29). (For ye know how we have dwelt in the land of Egypt; and how we came through the nations which ye passed by; And ye have seen their abominations, and their idols, wood and stone, silver and gold, which were among them:) Lest there should be among you man, or woman, or family, or tribe, whose heart turneth away this day from the Lord our God, to go and serve the gods of these nations; lest there should be among you a root that beareth gall and wormwood; 24 Even all nations shall say, Wherefore hath the Lord done thus unto this land? what meaneth the heat of this great anger? Then men shall say, Because they have forsaken the covenant of the Lord God of their fathers, which he made with them when he brought them forth out of the land of Egypt: For they went and served other gods, and worshipped them, gods whom they knew not, and whom he had not given unto them: And the anger of the Lord was kindled against this land, to bring upon it all the curses that are written in this book: And the Lord rooted them out of their land in anger, and in wrath, and in great indignation, and cast them into another land, as it is this day. The secret things belong unto the Lord our God: but those things which are revealed belong unto us and to our children for ever, that we may do all the words of this law. What about Jesus? Did He ever become angry? The teachings of the Pharisees were out of line many times with what Jesus taught, as we see when Jesus healed the man who had a withered hand on the sabbath. The Pharisees did not think it was right to do such a thing on the sabbath. (Mark 3:1-6). And he entered again into the synagogue; and there was a man there which had a withered hand. And they watched him, whether he would heal him on the sabbath day; that they might accuse him. And he saith unto the man which had the withered hand, Stand forth. And he saith unto them, Is it lawful to do good on the sabbath days, or to do evil? to save life, or to kill? But they held their peace. 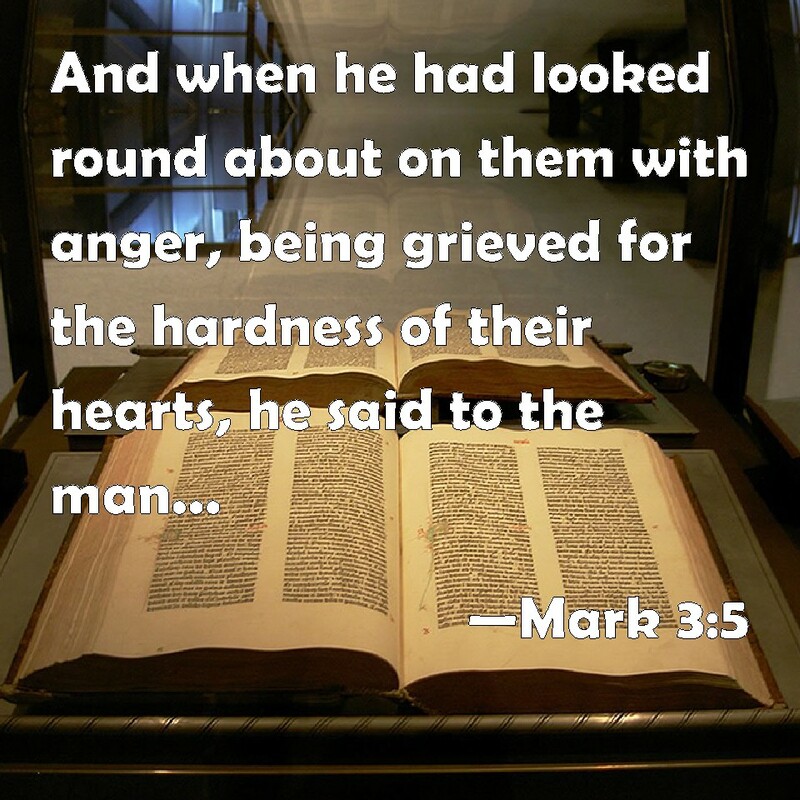 And when he had looked round about on them with anger, being grieved for the hardness of their hearts, he saith unto the man, Stretch forth thine hand. And he stretched it out: and his hand was restored whole as the other. And the Pharisees went forth, and straightway took counsel with the Herodians against him, how they might destroy him. For those who do love the Lord and righteousness and it is their way of life, it leaves no good place for the ones who would rather serve wickedness (Psalm 7:8-11). The Lord shall judge the people: judge me, O Lord, according to my righteousness, and according to mine integrity that is in me. Oh let the wickedness of the wicked come to an end; but establish the just: for the righteous God trieth the hearts and reins. My defence is of God, which saveth the upright in heart. God judgeth the righteous, and God is angry with the wicked every day.